<Best Deckard Cain>Why HELLO there! Welcome to the Gamers’ Inn! Stay awhile…</Worst Deckard Cain> Ok… Enough of that… We start the show off with our great Diablo III Guest Pass giveaway! Congratulations to RobotBeach as our first winner! We have a few extra codes and you can win them by leaving iTunes reviews or sending in an email to the show. Both Jocelyn and Ryan played Diablo III on launch day, but other than that Jocelyn played WoW and Ryan played Warlock: Master of the Arcane. Tons of quick fire news this week with delays, release date announcements, and 38 Studios in financial distress (BOO!). 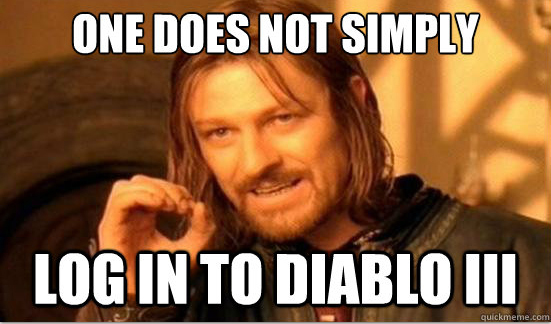 Finally, in Topic of the Week we discuss our first impressions of Diablo III. Don’t forget to send us feedback on your social media platform of choice, email us or leave us an iTunes review for a chance to win a Diablo III 7-day Pass so you can be just as cool as RobotBeach!